Wear women’s footwear that was actually made for women to wear. 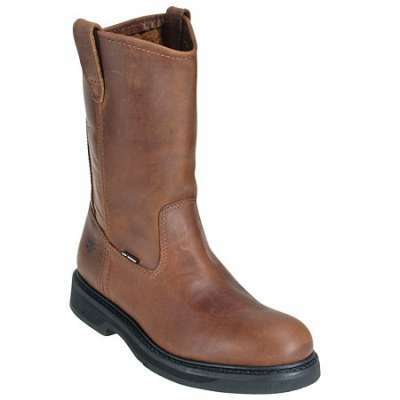 Even safety can be stylish when you’re wearing Avenger Women’s A7125 Brown Waterproof EH Slip-Resistant Steel Toe Boots. 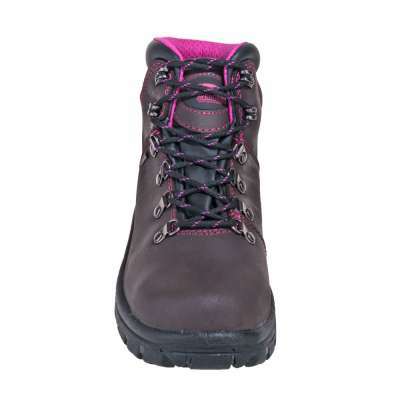 Avenger A7125 – You can tell these women’s boots were made for you, since the brown leather is detailed with hot pink accents. Look closely to see the pink stitching, the logo on the front, and the inner pink lining. The leather is full-grain material that feels like luxury to the touch. That means the leather is naturally resilient and flexible. It’s soft around your feet, and it moves with your every step. Waterproof membranes keep the design waterproof to keep your feet dry, even when you’re working in ugly weather conditions. The dual-density insoles give you two layers of soft support. Extra cushioning means extra comfort. You can remove the insoles from the waterproof boots any time to clean them, and simply slip them back in before you head out to work. 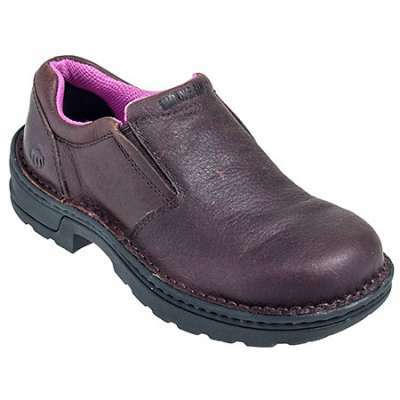 Even the collars have padding, so your feet will be safe AND comfortable. The outsoles are held in place with direct attach construction and also are fused to the uppers to create a watertight bond. 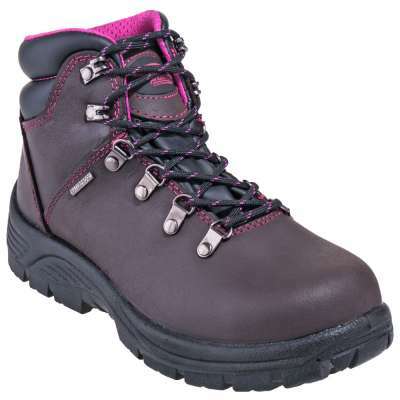 That prevents moisture from seeping in from around the bottom of your safety toe boots. Made with lightweight polyurethane material, the soles are even more shock-absorbent than rubber. Oil-resistance protects the tread from corrosive chemicals. 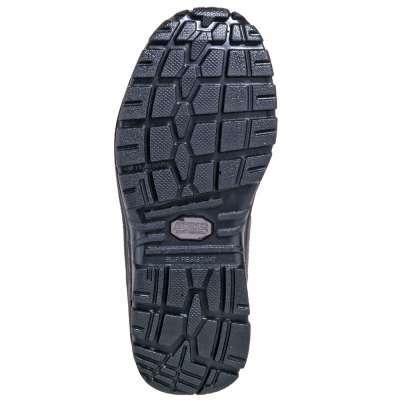 The slip-resistant tread bites down on various terrain to keep you steady and your steps secure. 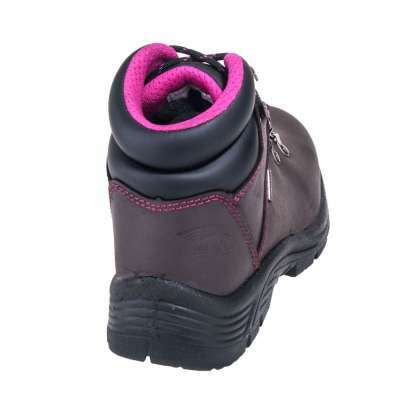 Safety toe caps are made with steel and meet ASTM F2413-11 safety standards. 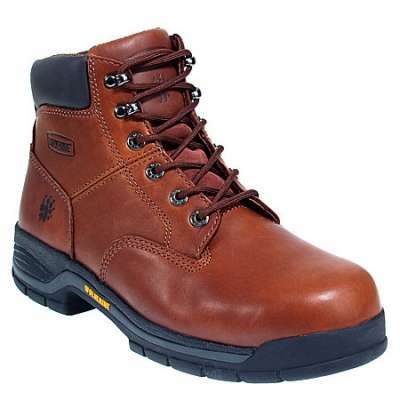 The steel toes resist impact and compression, protecting you from dangerous falling objects. To protect you from dangers you might find down below, the soles are tested for EH (electrical hazard) compliance. 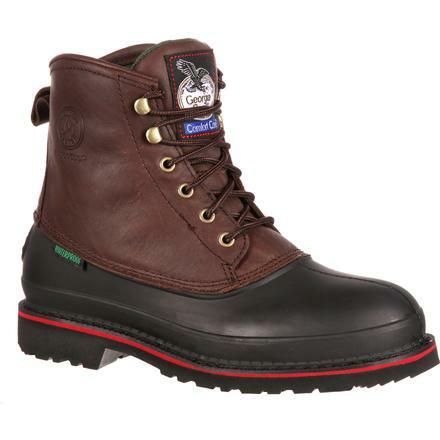 The electrical hazard resistance rating means the soles will absorb dangerous electricity, keeping you safer when you work around open circuits.